blogging | Gluten Free? Gimme Three! I follow a lot of blogs – some gluten free, some healthy living, some fashion/lifestyle, and some that are a mix of all of them. I’ve found that some of the blogs that I get the most out of, or like the best, are ones that aren’t explicitly focused on gluten free living/recipes, but are “secretly” gluten free. By “secretly” I mean that they often have recipes that are gluten free or give easy substitutions to make them gluten free. I think what I like so much about these blogs is that, while I love reading about Celiac Disease and the gluten free community, sometimes it can get to be too much (or too depressing). These blogs are just fun, plus they all have easy and healthy recipes to boot! These are four of my favorites! Not only is Chelsea totally hilarious, but she’s gluten free! I’m always getting ideas from her on new ways to make my morning oatmeal, and totally appreciate that her recipes are made with whole foods and are heavy on the veggies! Must make recipe = the perfect bowl of oatmeal. This is basically exactly how I make my oats in the morning, except I let them soak overnight and then microwave them in the morning. Chelsea gave me the idea to put jam in my oats, which revolutionized my breakfast – a spoonful of sugar-free raspberry jam in oatmeal makes the whole thing burst with raspberry flavor! Katie somehow is always coming up with ingenious recipes and healthy twists on classic desserts. While most of her recipes are very close to being gluten free from the start, if they aren’t then she always makes sure to put in instructions on how to substitute ingredients to make them gluten free. Awesome! 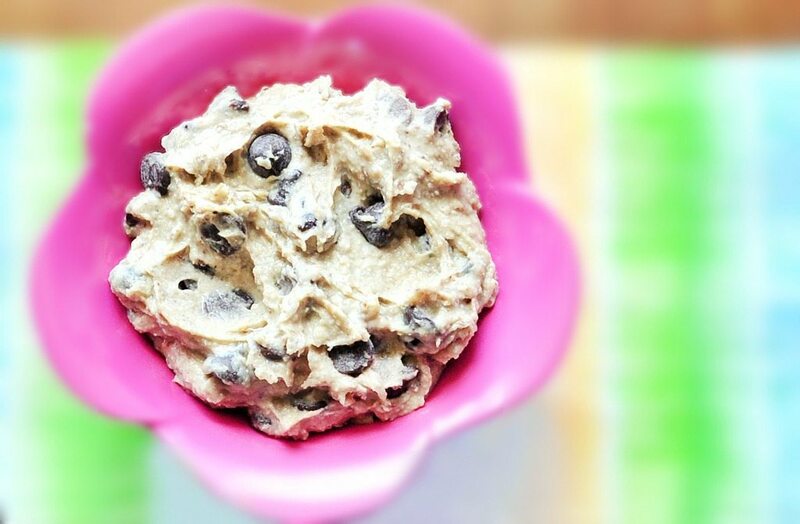 Must make recipe = chocolate chip cookie dough dip! I use gluten free oats in mine and it’s one of my favorite healthy indulgences. I love this guy. 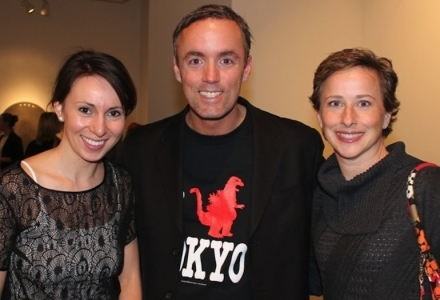 He has tons of simple recipes for quinoa, tempeh (one of my staples), and is notorious for delicious brownies. 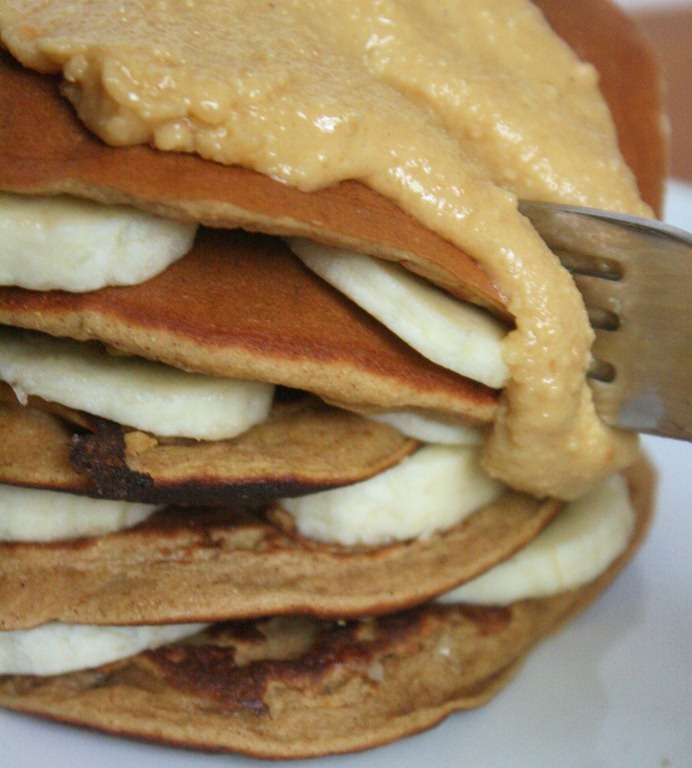 Must make recipe = banana pancakes! With only five ingredients these are as simple as can be (because I don’t know about you, but early in the morning the last thing I want to do is measure out 7 different kinds of flour). Katie’s blog has a ton of creative recipes. While they aren’t all gluten free, she’s great about putting substitutes in – not to mention pumping up her recipes with protein and keeping them low in sugar! Any girl who can actually come up with a recipe for “chocolate protein frosting” is a miracle-worker in my book! Thanks to Chelsea, Katie, Katie, and Evan for all of your great recipes!